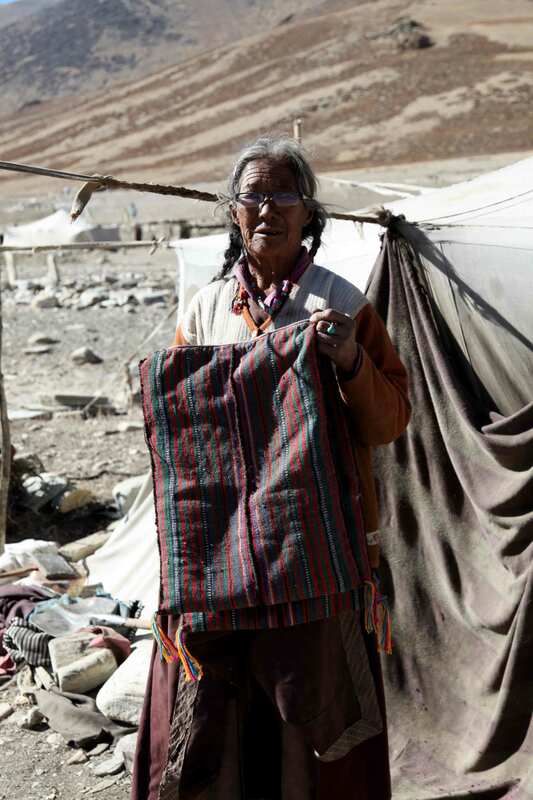 Ladakh has a highly diverse textile tradition that reflects its physical, socio-economic and cultural environment. 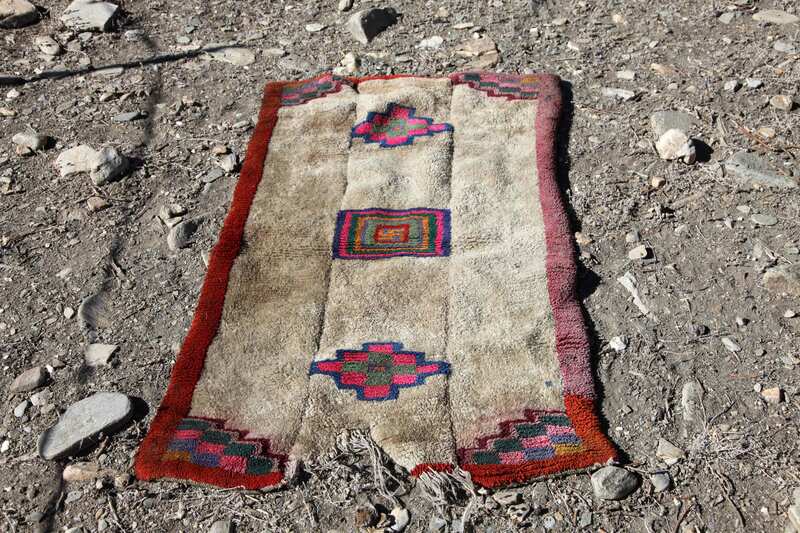 The range of fabrics used extends from elaborately patterned prestige garments made from trade textiles such as silk-brocades, ikats and velvet, to simple homespun materials produced from locally available resources of wool and pashmina. 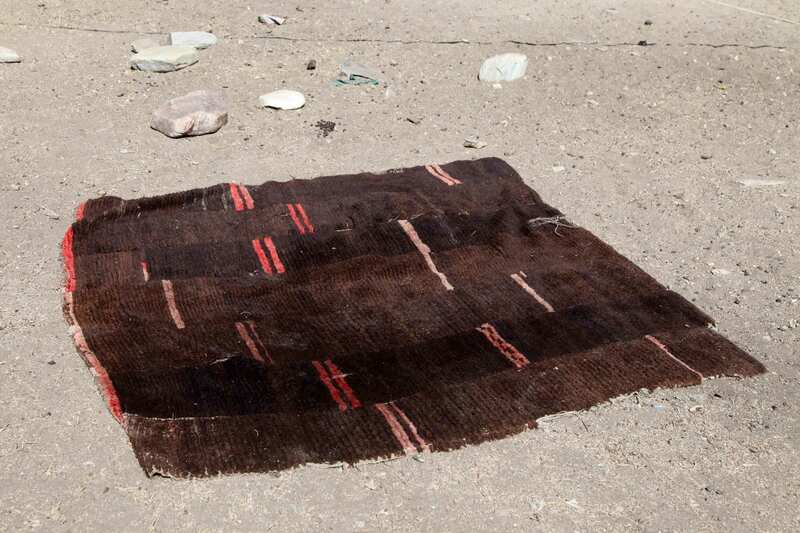 Textiles are also markers of ceremonial and sacred space, secular dwellings, indicators of political authority, status and changing trends. 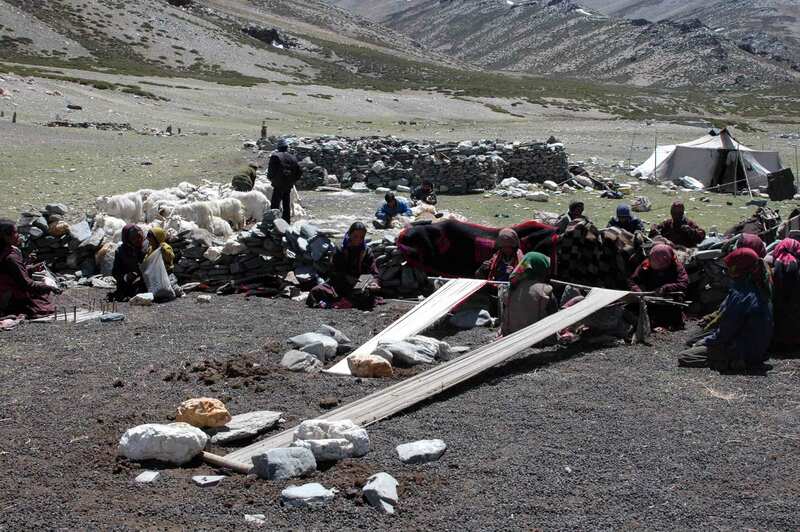 The nomadic pastoralists of Ladakh live at an altitude of over 4,000 metres, moving on the Changthang plateau with their herds of yak, sheep, and pashmina goats. 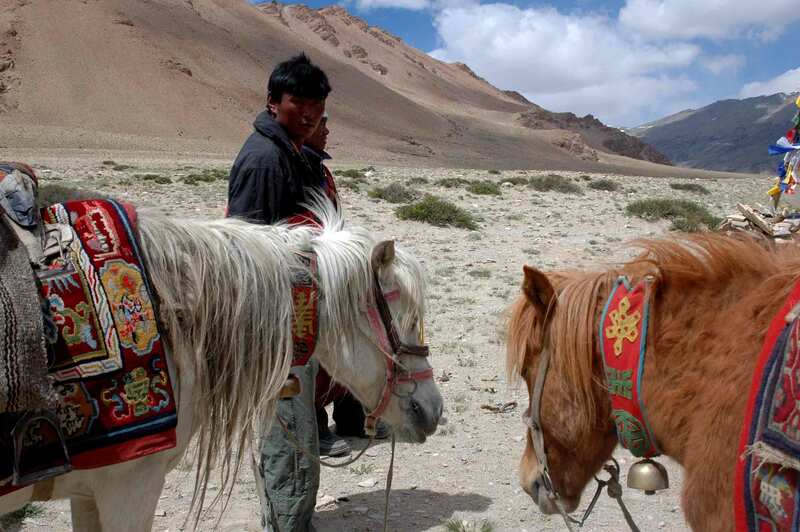 The Changthang is an arid, cold desert, where little grows but the Changpa maintain a delicate balance with nature, forever careful of its scare resources. 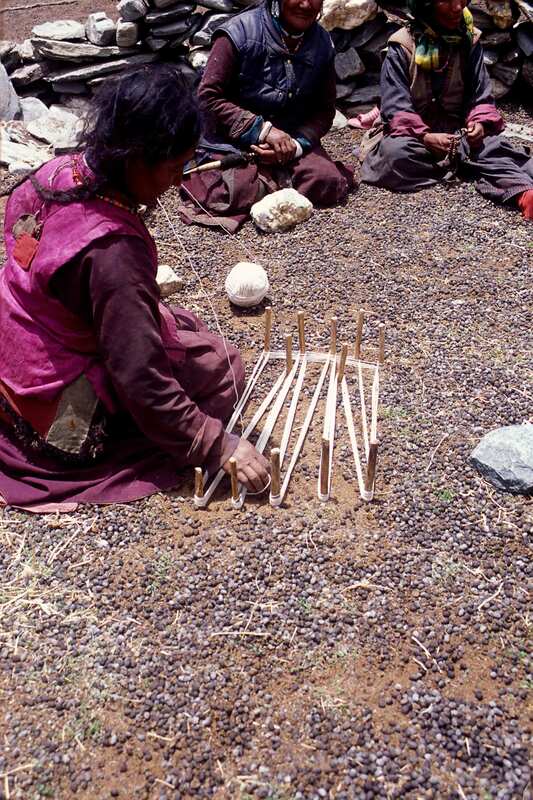 Over the centuries they have evolved an indigenous and effective rangeland management system that involves regulations of their movements with available pasture and allows their livestock to thrive. 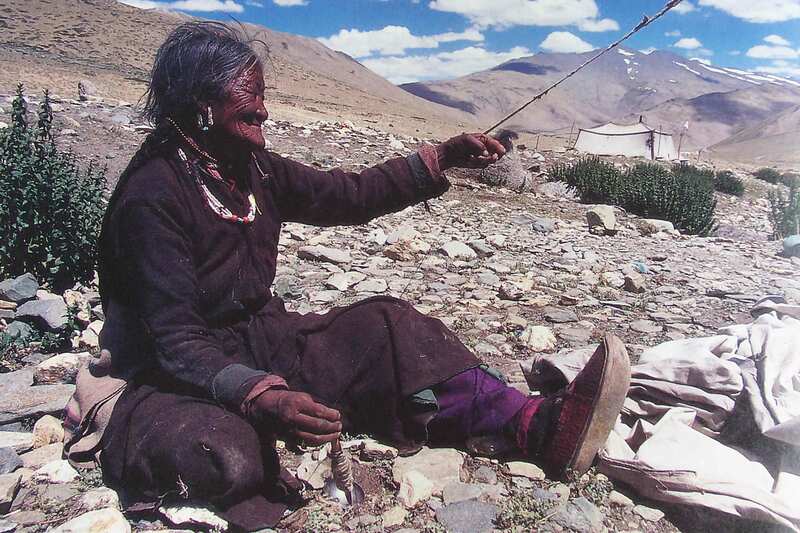 Their livestock give them a range of different fibres – wool from sheep and yaks, hair from yaks and goats, and pashm from goats. 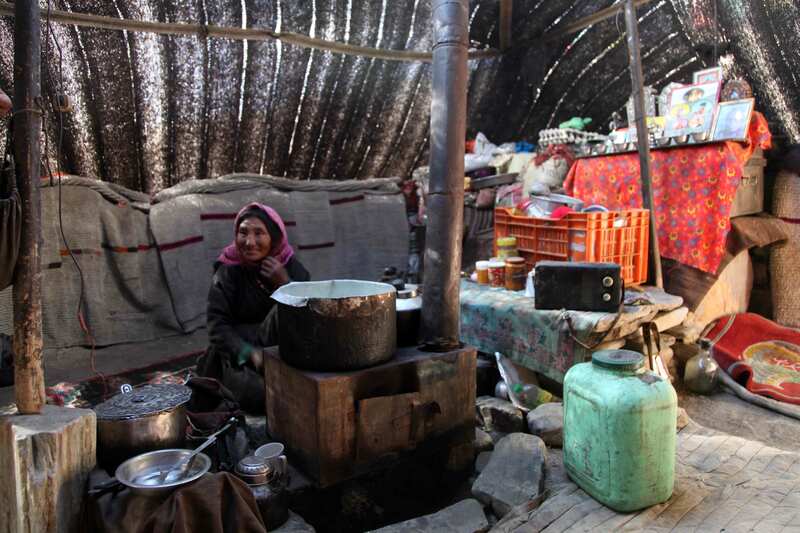 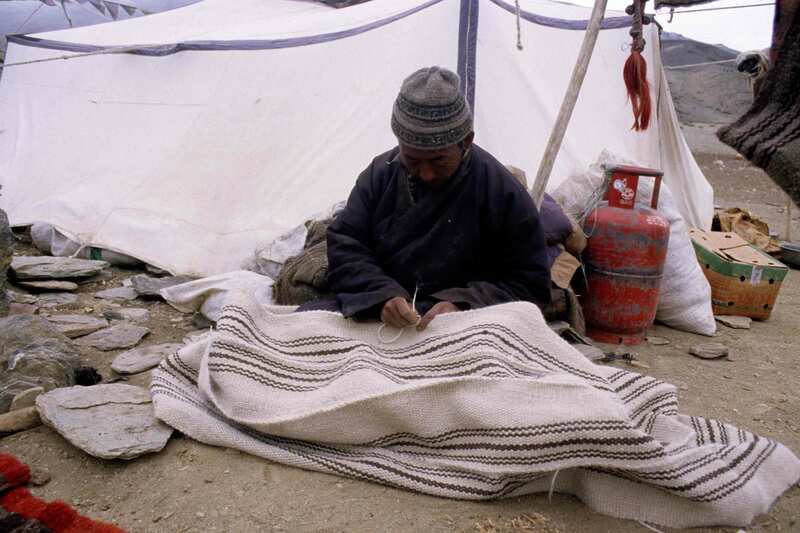 The nomads seldom work with pashm, as they find it difficult to weave with, choosing instead to sell it to traders from Kashmir or the Pashmina Cooperative in Leh. 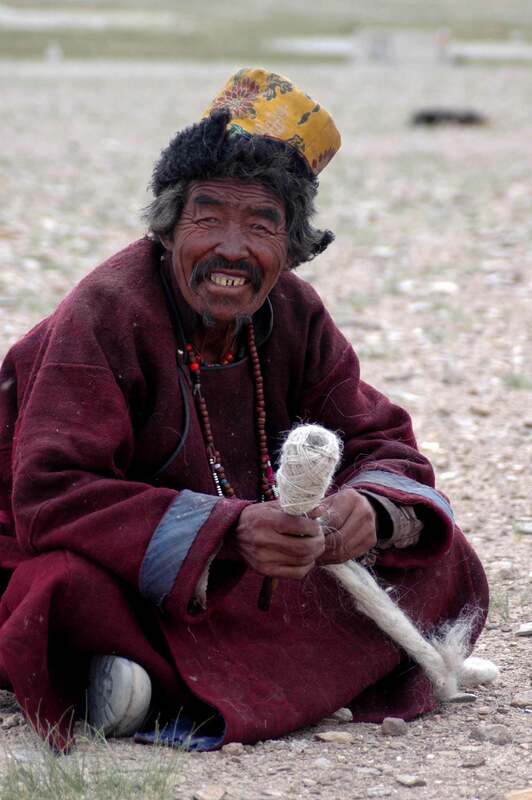 They retain the wool and hair using it to make a number of textile products from coverings and containers to fabric for their robes, hats and boots. 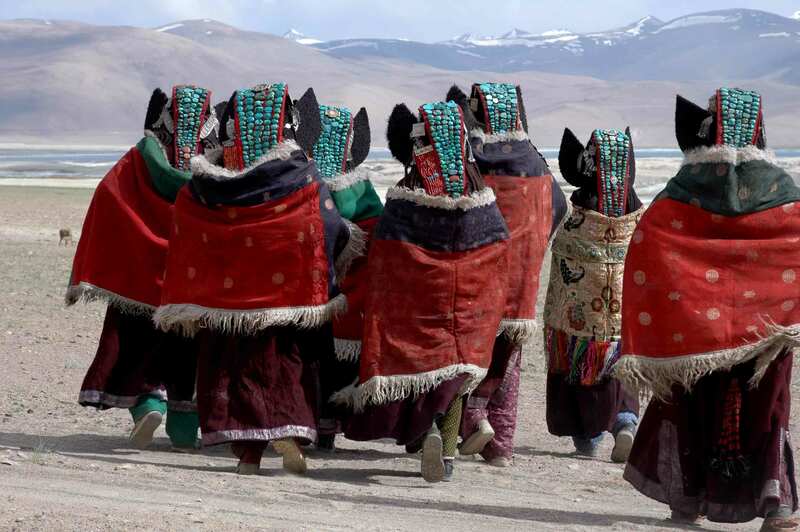 Ladakh has a highly diverse textile tradition that reflects its physical, socio-economic and cultural environment. 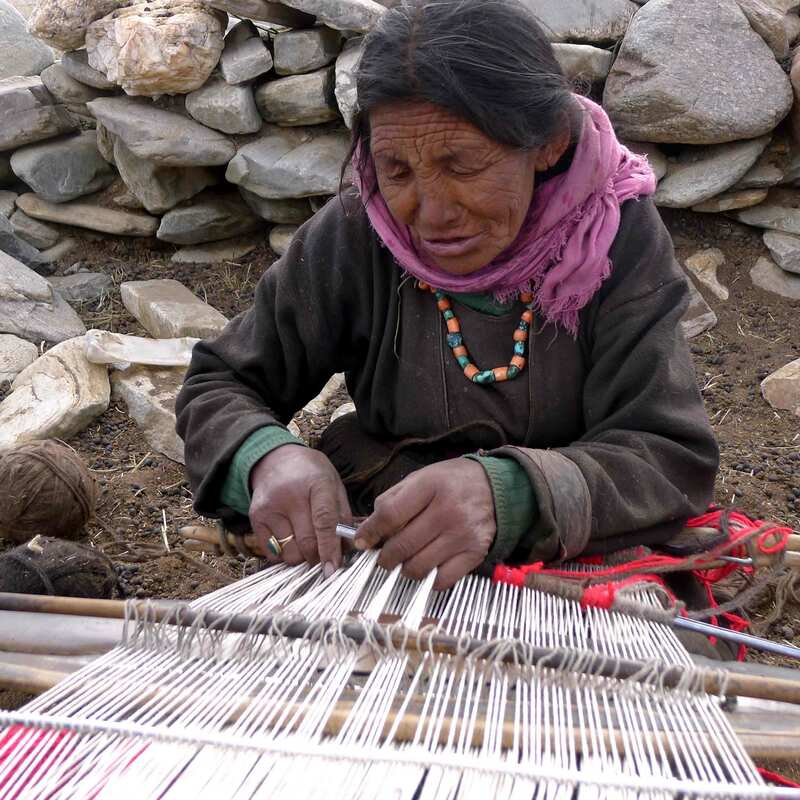 The range of fabrics used extends from elaborately patterned prestige garments made from trade textiles such as silk-brocade, ikat and velvet to simple homespun materials produced from locally available resources of wool and pashmina. 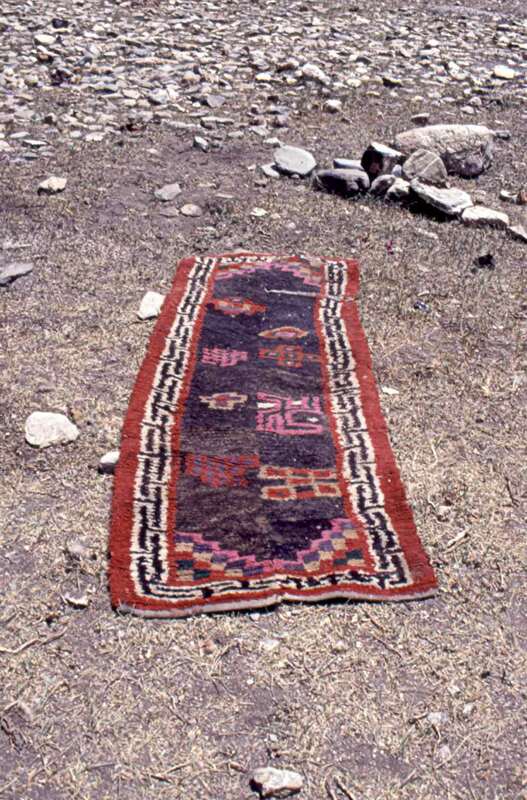 Textiles are also markers of ceremonial and sacred space, secular dwellings, indicators of political authority, status and changing trends. 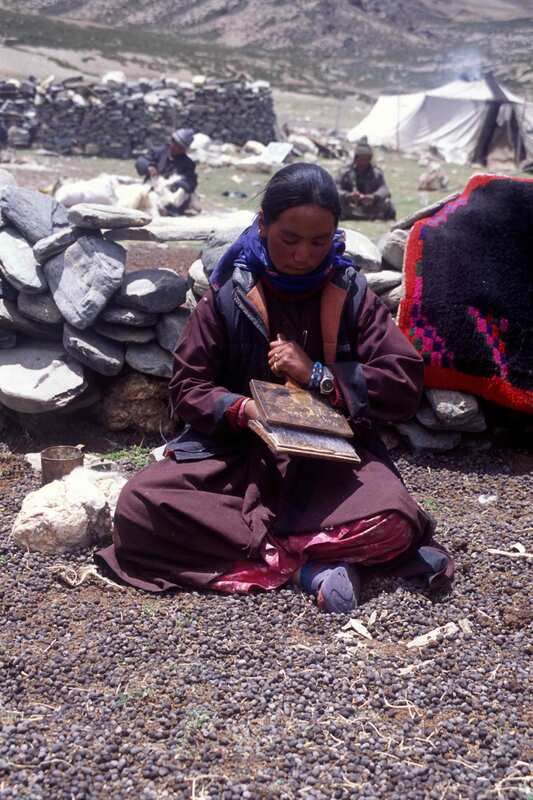 The nomadic pastoralists of Ladakh live at an altitude of over 4,000 metres, moving on the Changthang plateau with their herds of yak, sheep, and pashmina goats. 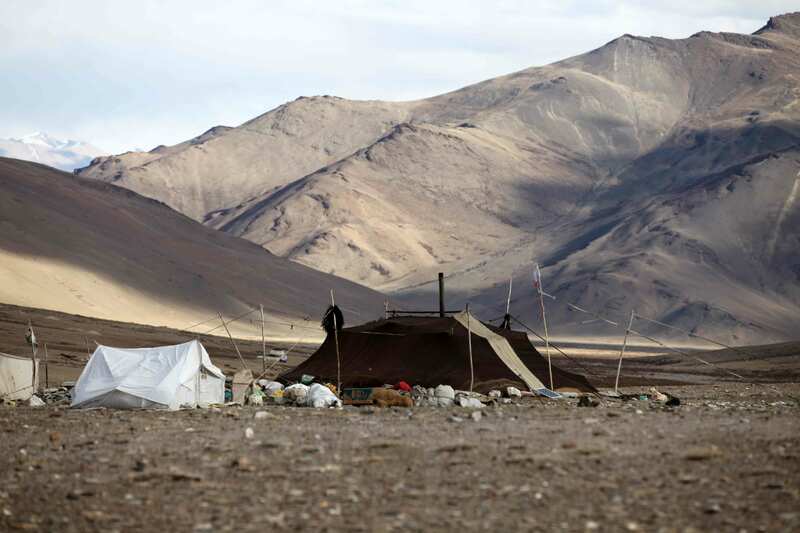 The Changthang is an arid, cold desert, where little grows but the Changpa maintain a delicate balance with nature, forever careful of its scarce resources. 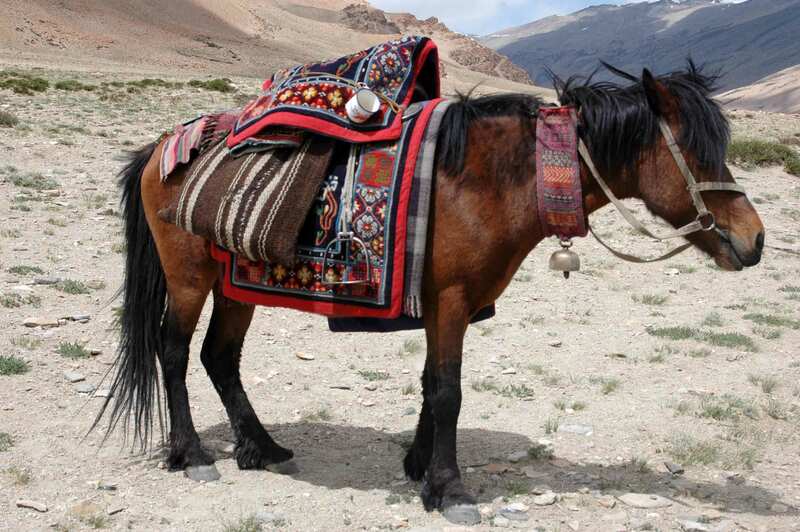 Over the centuries they have evolved an indigenous and effective rangeland management system that involves regulations of their movements with available pasture and allows their livestock to thrive. 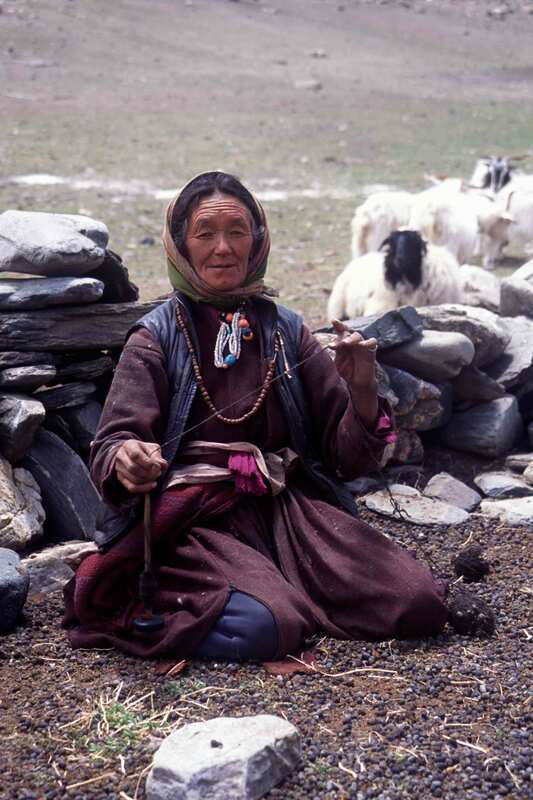 Their livestock give them a range of different fibres—wool from sheep and yaks, hair from yaks and goats, and pashm from goats. 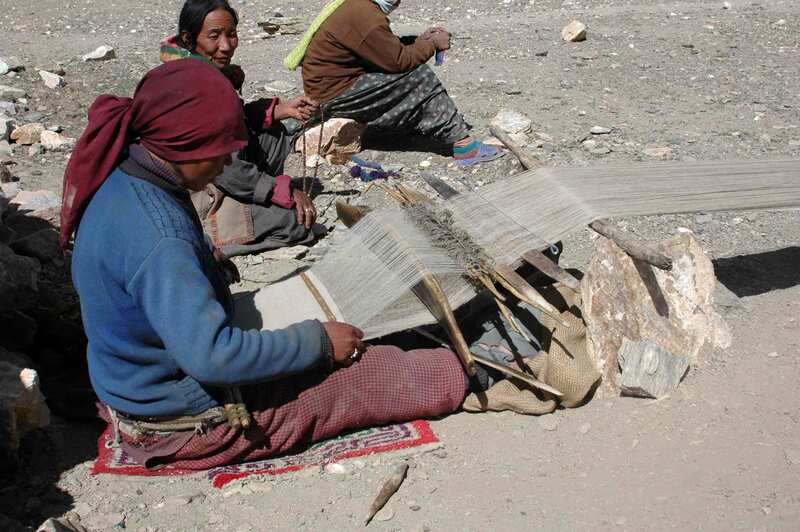 The nomads seldom work with pashm, as they find it difficult to weave with, choosing instead to sell it to traders from Kashmir or the Pashmina Cooperative in Leh. 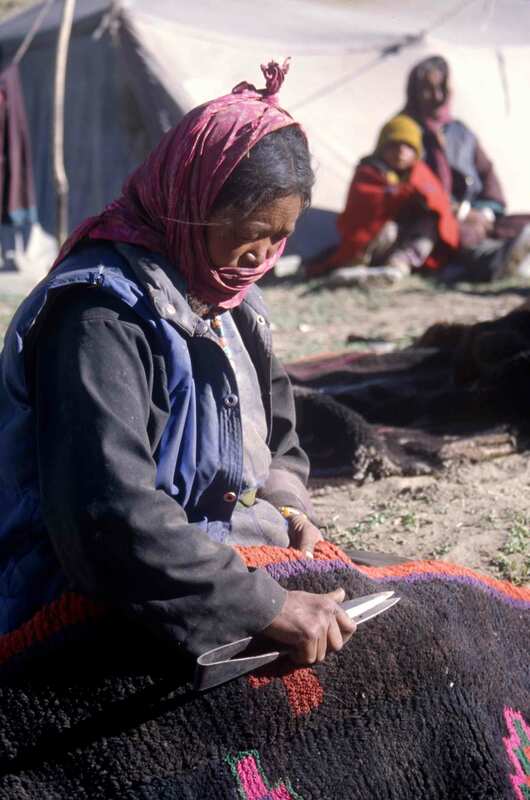 They retain the wool and hair using it to make a number of textile products from coverings and containers to fabric for their robes, hats and boots. 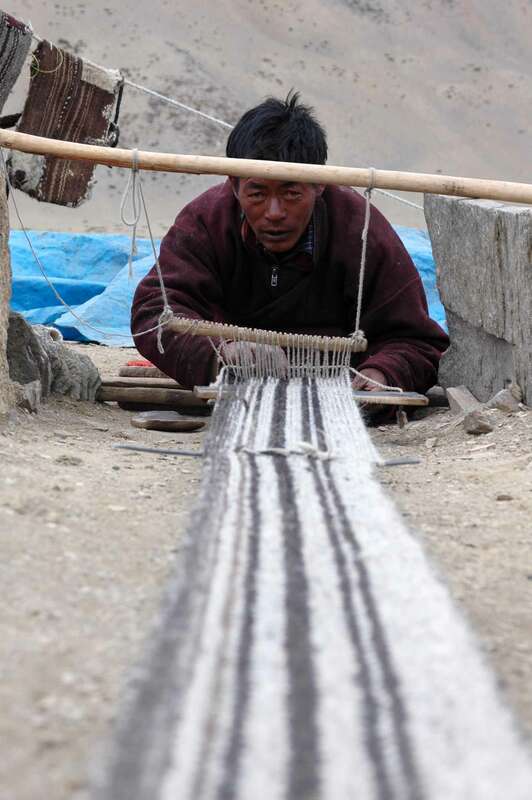 Men and women in the Changpa community each work on different looms—women on backstrap and men on fixed-heddle looms. 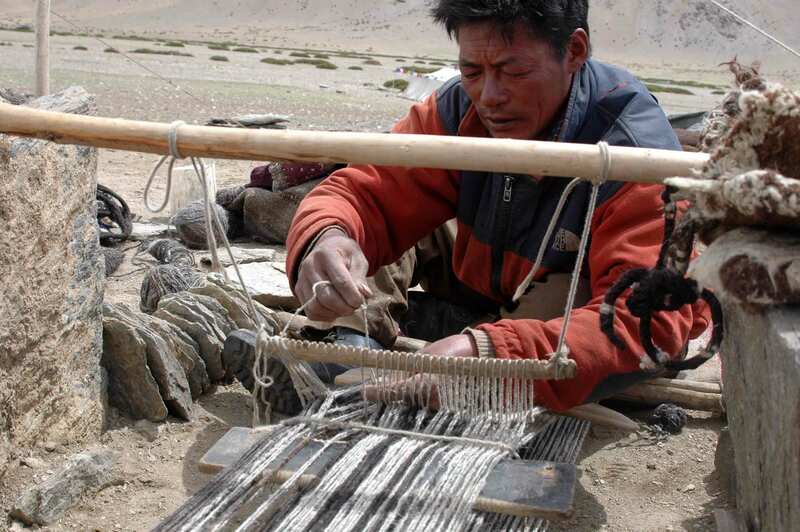 They also weave with different fibres—men work with goat and yak hair, women with sheep and yak wool. 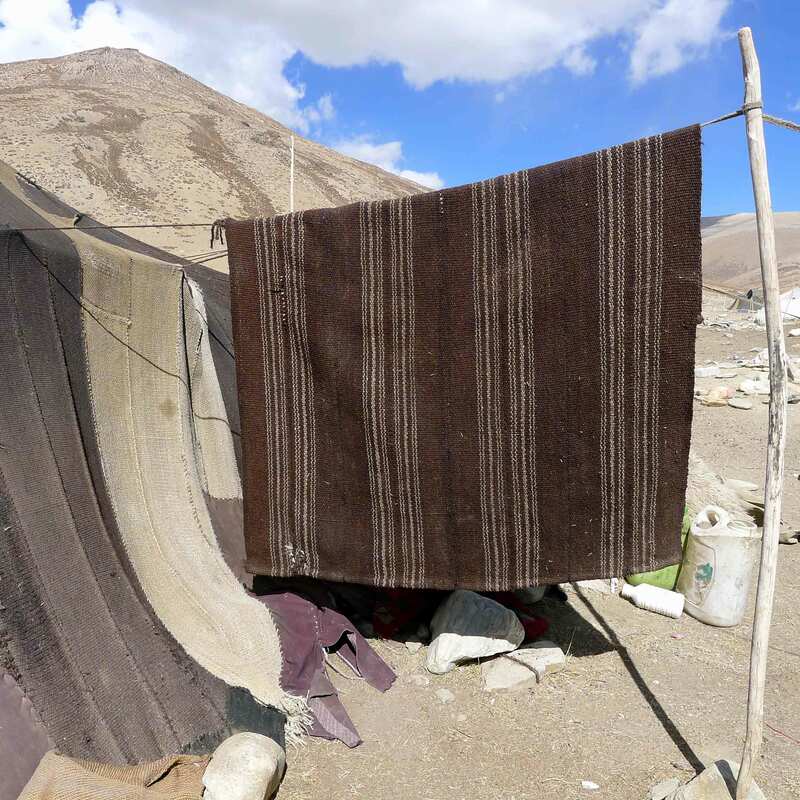 This photo essay encapsulates some of the textile processes and methods of production carried out by the Changpa, and looks at the range of textile products they make. 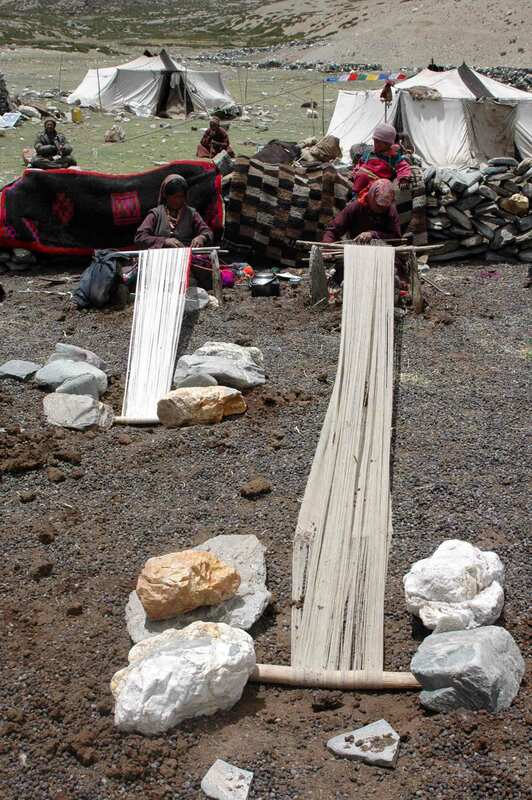 Men and women in the Changpa community each work on different looms – women on backstrap and men on fixed-heddle looms. 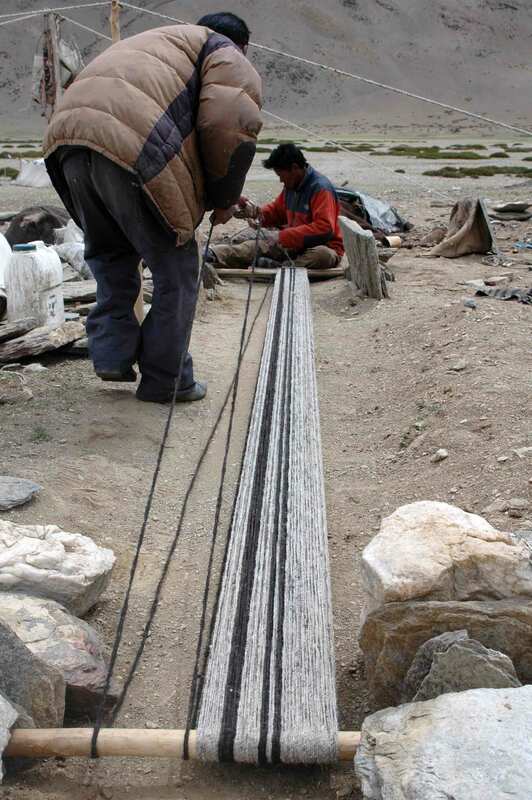 They also weave with different fibres – men work with goat and yak hair, women with sheep and yak wool. 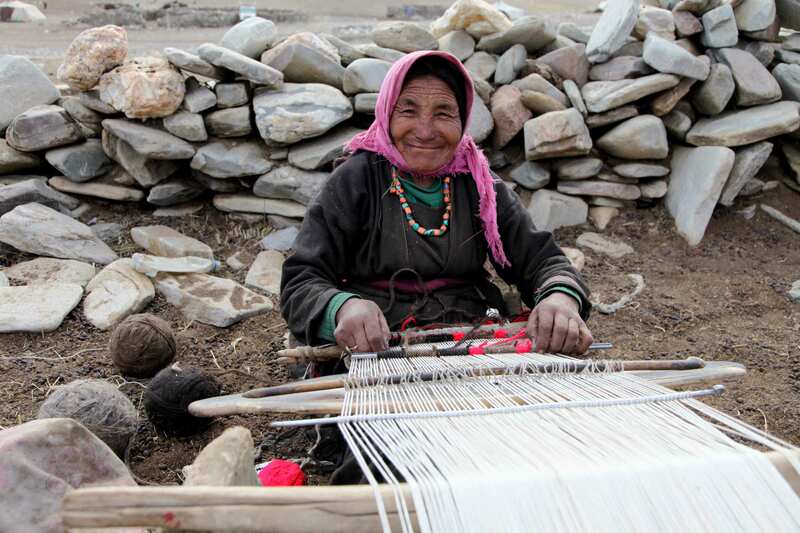 This photo essay encapsulates some of the textile processes and methods of production carried out by the Changpa, and looks at the range of textile products they make. 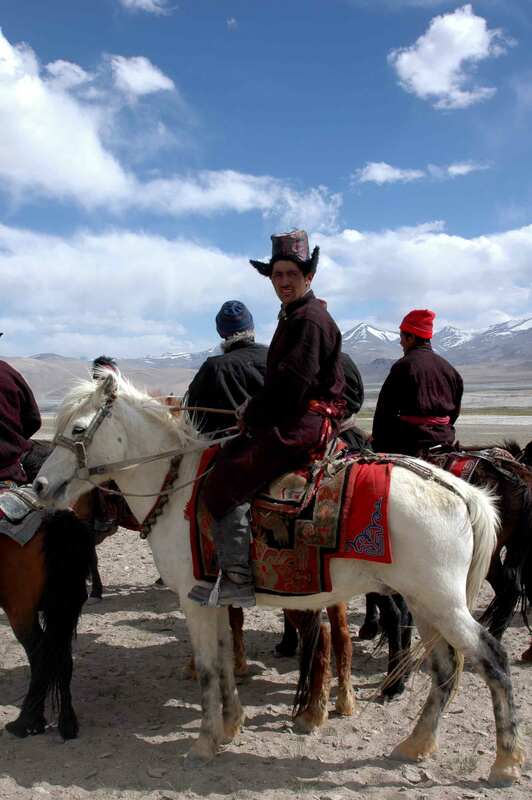 All photos were taken by Monisha Ahmed unless stated otherwise.